The Pierce County medical examiner’s office believe the 77-year-old women died by asphyxiation, Tacoma outlet the News Tribune reported. 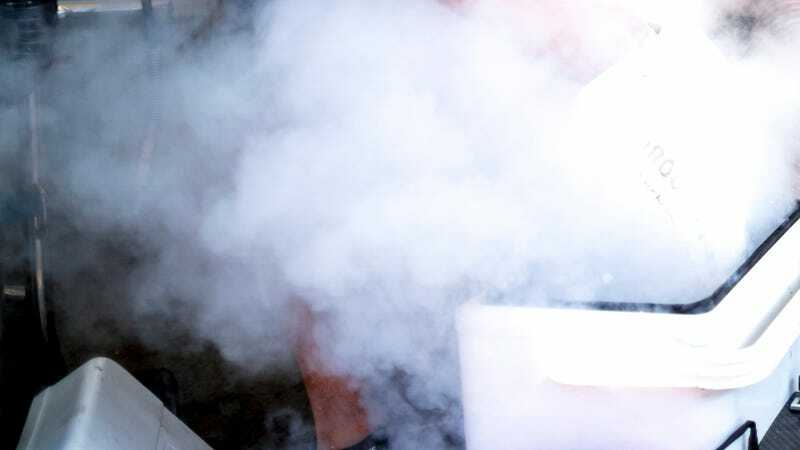 Dry ice—frozen carbon dioxide—turns to gas when it sublimates. The two women could have been inhaling the gas and not breathing in enough oxygen. The man’s mother had reportedly visited the couple Thursday night, and his wife had offered to drive the woman home around 11 p.m. When the man woke up around 4 a.m. the next morning for work, he realized his wife had not come home. He found the parked car a few blocks away, and called police immediately after breaking the windows to check on the two women. Halo Top Creamery founder Justin Woolverton told Inc. magazine that he began having trouble breathing during a drive in Los Angeles. He stepped out of the car at a stop light and immediately felt better. He later realized it was because he’d been breathing carbon dioxide coming from the dry ice keeping the ice cream cold.